I was recently given the opportunity to teach my VERY FIRST in-person class at a wonderful yarn shop, Make One Yarn Company, in La Verna, Ca. Lemme tell ya - that is a humbling experience. Teaching online with videos is surprisingly easier but it was still a huge high to get to teach folks in person. The class would have been boring had we worked just a swatch so I decided that the students would get a finished product pattern as part of their class. And thus the Vintage Vanity headband was born! 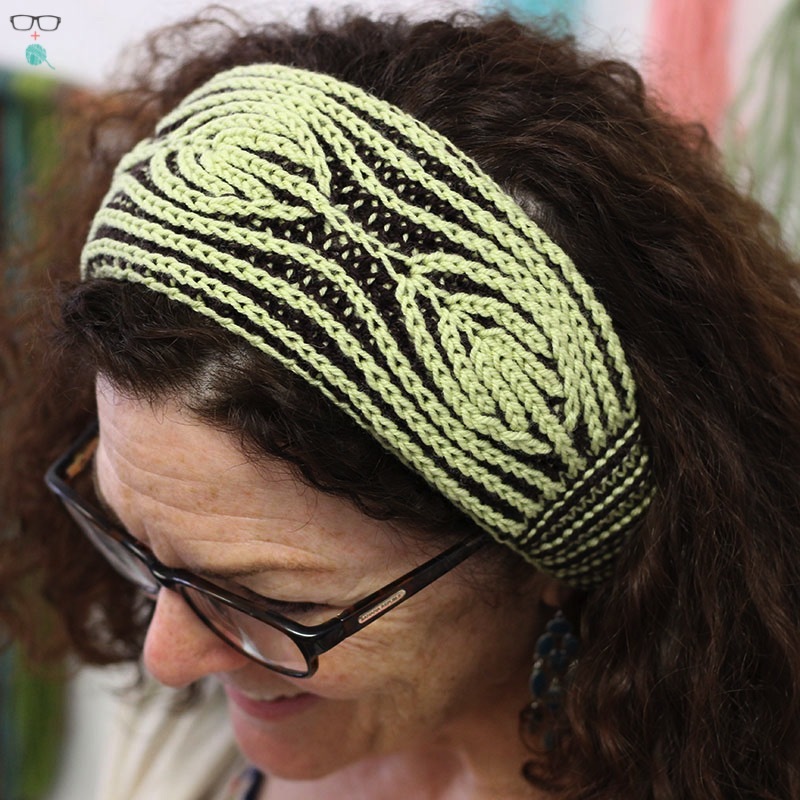 This wonderful little headband gives the knitter just a taste of brioche without being overwhelming. 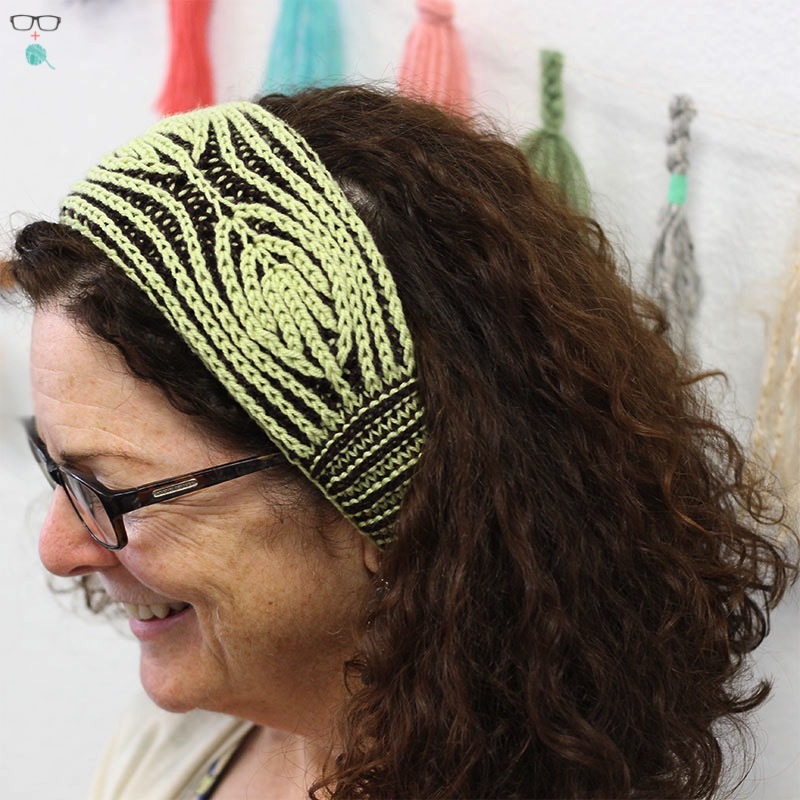 Beginning with a provisional cast-on, the user can make the band whatever circumference is needed to fit a variety of head sizes, but is written for a standard woman's size head, 21-22 inches in circumference measured along the hairline. 2 finished headbands, if not 3, depending on sizes made, can be knit from 2 skeins of Ewe So Sporty from Ewe Ewe Yarns. Go choose your colors and get brioche-ing, baby! US 6 (4mm) 16” circular needle (or DPNs). Adjust needle size to obtain gauge. 4 inches wide by 18 inches circumference; recommended fit: 3-inches negative ease. 24 sts and 51 rows = 4" in double garter rib.